The A-Designs NAIL is one of the most musical yet transparent compressors ever made. Housing hand selected valve circuitry and top-shelf components, specifically chosen to best compliment and enrich the extended bandwidth of state of the art recording and mixing tools, the NAIL is completely at home strapped across the main outs of hardware mixers or breathing analogue warmth into DAW setups. While it has the ability to add character to any sound, it can also control dynamics very subtly in the background; and, unlike so many compressors, the NAIL can be hit really hard without having the top end dragging down. 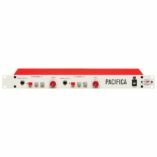 Being able to switch from linked stereo to dual mono makes it a perfect tracking compressor as well – or, on a stereo mix, using dual mono with different settings on each side can have the effect of making the mix sound wider. The NAIL’s unique combination of Threshold, Hard Threshold, and Filter allows precise control over the amount of compression, the level at which it will engage, and the frequencies above which it will act. There is no need for a Ratio control – it is continuously self-adjusting in response to programme material. With Hard Threshold disengaged, Threshold increases gain reduction (like an LA2A), the attack and release controls don’t do much, and the NAIL becomes a model of simplicity – set its threshold and gain, and let the NAIL work its magic. For finer control, Hard Threshold opens up a world of compression /envelope-shaping possibilities. Like the hard knee of a traditional compressor, Hard Threshold works in conjunction with the Filter – a variable HPF continuously tuneable from 8Hz up to 250Hz. Once the Hard Threshold is crossed, the NAIL will apply desired compression above the selected frequency and less to the frequencies below, preventing higher energy bass frequencies from triggering unwanted compression and ducking the entire mix. 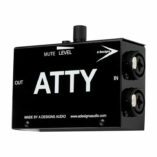 The Filter can also be used to enhance bottom end for bass-heavy music without throwing the mix’s entire frequency spectrum out of whack, as a multi-band compressor so often does. 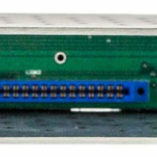 The HM2’s remaining continuously variable controls – Attack, Release, and Gain – function as expected; however, Attack and Release are dependent on the settings of the Hard Threshold and also respond dynamically to program material, making for a more flexible and musical performance than traditional “once size fits all” attack/release circuits. 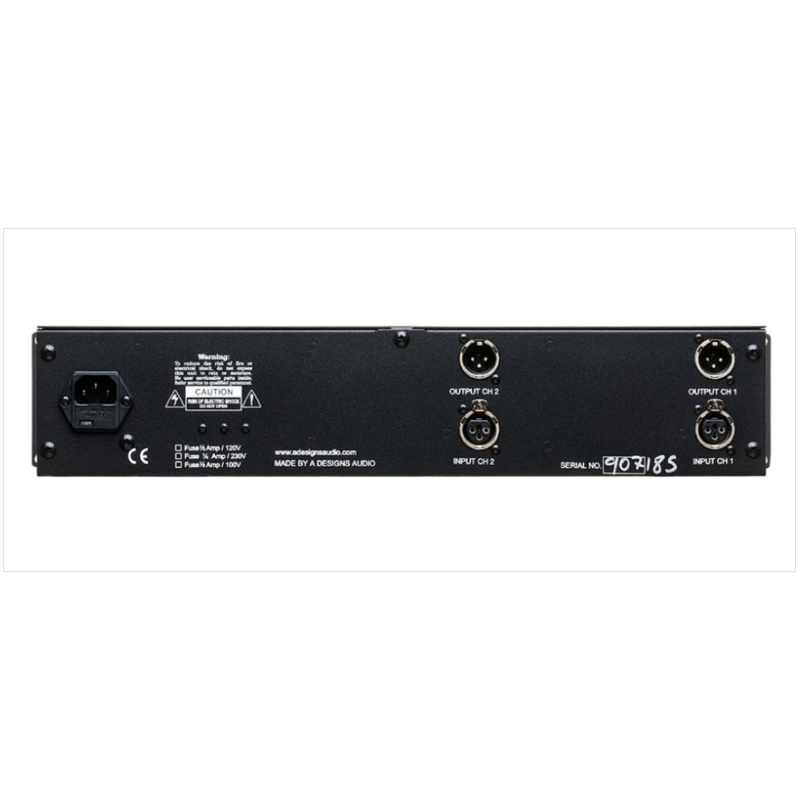 Other toggle-able functions include In/Out for quick A/B comparison; Stereo Link On/Off; and the ability to switch the NAIL’s LED dual metering ladder (chosen for it’s ultra fast response and the ability to see it clearly from across a low-lit control room) from Gain Reduction to Level. 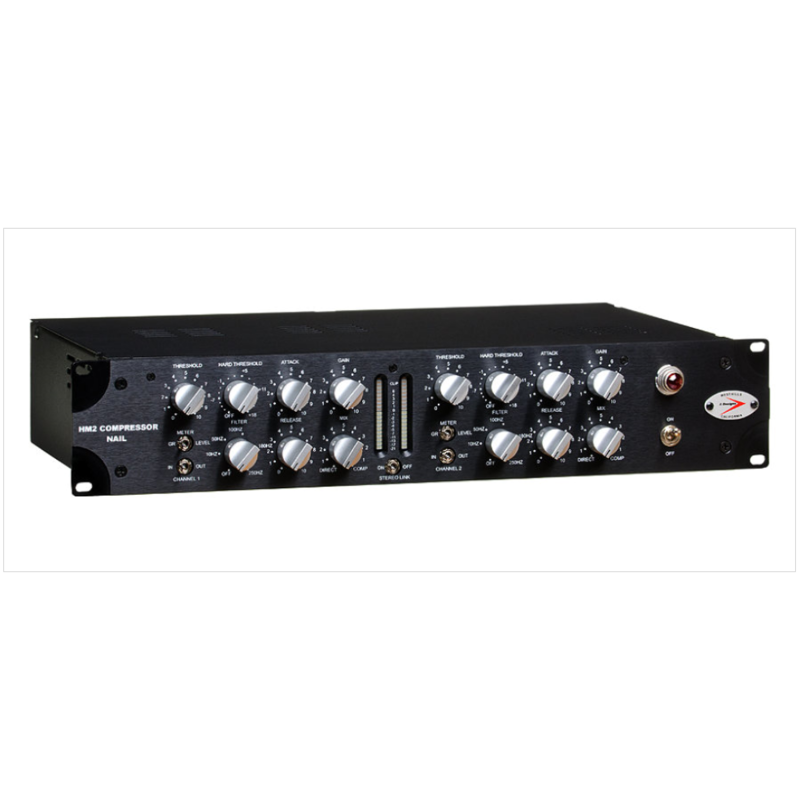 Another of the NAIL’s very cool features is its Mix knob, which provides continuously variable control between direct (dry) and compressed signal, enabling you to apply parallel compression to a sub-mix without losing two aux send/return or mixer channels. Having the capacity to easily reduce the amount of compression being applied without changing the settings or sound of the compressor is unbelievably useful – it’s a mystery why more compressors don’t have it. As its name suggests – whether it’s transparently controlling dynamics while getting tracks into your DAW or hardware recorder, squashing sounds to give them more character, or putting the finishing touches on a final mix….the A-Designs HM2 Compressor Nails it! Solid state/valve hybrid design combines high performance with rich sound. 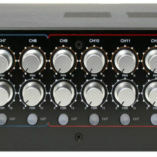 Dual channel, with switchable stereo link or dual mono modes. Mix control lets you blend wet/dry signal for parallel compression. Hard Threshold and Filter let you select amount of compression and frequency (to 250Hz) to prevent mix from being “dragged down” by LF energy. Awarded “Mix Certified Hit” by Mix magazine. Custom-milled aluminium knobs and faceplate. LED Indicators switchable to stereo. Weight: 4.5 kilos / 10 lb.